Currently 517 visitors online at SuggestADoctor.com. Dr Hedges is a very nice doctor. He listens to all of your concerns. He has a good sense of humor. All the nurses in his office are very friendly. Great environment to be in. Only ob/gyn I've ever been to that actually seemed to care for his patients. After seeing two others for abnormal periods he finally did something to help me. Dr. hedges was my doctor for my hysterectomy and was so kind and gentle during the time leading up to the surgery. Highly recommend him! Is this Review about Wesley Warner HEDGES helpful to you? Dr. Lawton takes the time to listen to what you want and will do what he can to help you achieve the results you want. Him and his staff are all very professional and friendly. I can't recommend Lawton Plastic Surgery enough! Is this Review about Gary Paul LAWTON helpful to you? Exceptional doctor specializing in the research of endometriosis. Is this Review about Nicole DONNELLAN helpful to you? She is awesome & deserves to be on this list! Is this Review about Jacqueline ROSS helpful to you? He is awesome & deserves to be on this list! Is this Review about Gary GROSS helpful to you? Is this Review about Ellen SHER helpful to you? Dr. Taras is not only an amazing Doctor he is an amazing person. Dr. Taras is comforting, friendly and very experinced. When you come into his office his staff is warm and inviting. Dr. Taras treats his patients like they are part of his family. If I have any concerns I can email him and he gets back to me in a very timely manner. I have a real phobia about doctors but Dr. Taras is a real exception!!! Its difficult to find a caring doctor who is not only caring but really good at his profession. Is this Review about Ian TARAS helpful to you? Very happy with dr Krueger. Excellent doctor! Is this Review about Kelly KRUEGER helpful to you? I had my first major abdominal surgery with Dr. Denman; sacrocolpopexy, subtotal hysterectomy, and posterior repair. She is a Urogynecologist that treated me for prolapse. I really appreciate Dr. Denman’s way with people. She is brilliant, a meticulous & thorough surgeon, and up to date on the newest tech/research. But this is all contained in a person who is caring and down to earth. I always felt heard. She addressed every concern and could explain in a way that I could understand(even through extreme brain fog in the weeks following surgery). After going through this very vulnerable season in my life, those attributes are a precious gems that not every doctor can possess. Is this Review about Mary Anna DENMAN helpful to you? This doctor is awesome. She is very knowledgeable about her field. If you are having any issues with incontinence this is the doctor for you. She performed surgery and her beside manner is impeccable. Is this Review about Fiona LINDO helpful to you? 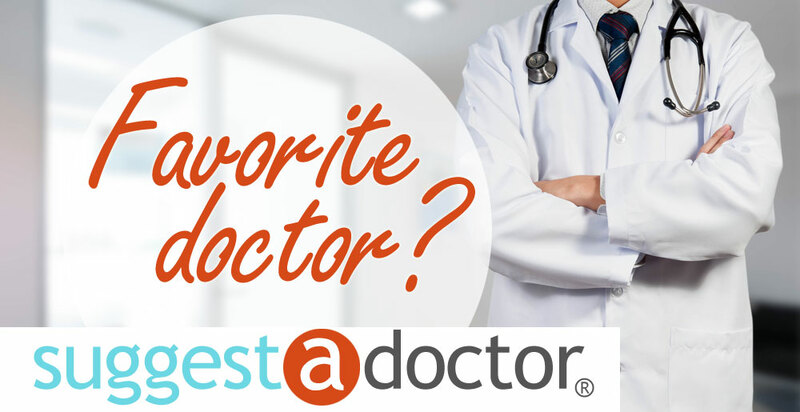 Dr. Miller is very knowledgeable and has a great bedside manner. She listens to you and works with you as to what is best for you. Is this Review about Jessica MILLER helpful to you? Very friendly and thorough. She makes you feel good about yourself and is also good at medicine. Love her. Is this Review about Anubha JAIRAM helpful to you? After issues with my past eye surgery with Dr self important sh*t, I found Dr. Clarke who dashed into to settle and reestablish my vision. I may be his unequaled grateful patient. He is an extradinarily skilled,helpful master. He is uncommonly self motivated to make you forever fulfilled and eternialy appreciative. This review is long over due. If you are contemplating cataract surgery condider utilizing the expertise of Dr Francis James Clark in Hatboro, Blue Bell, and Springhouse. Mine was very intricate do to several reasons, concretely because I had blindness in one of me eyes, and had glaucoma and astigmatism in my only remaining eye. With the assistance of wondrous staff everywhere in his offices, I had a very swift congenial experience. This doctor is a miracle man. Yet he remains incredibly humble and engaging. Love Dr Sukkar and his entire staff!!! I will be back!!! Is this Review about Sam SUKKAR helpful to you? Very appreciative of excellent care. From my first phone call, your staff was so cooperative and accommodating to my special time constraints. I could hardly believe how they found an almost immediate appointment for me . Dr. Krynn Buckley is a fine example of a competent, compassionate professional. Dr. Buckley performed my TAH on 08/21/2017, and provided all pre-op diagnosis and consultation along with Post-op care. I felt I was well cared for and my questions were all answered honestly. A note that I want to add, Dr. Buckley is now practicing in Wisconsin. Highly recommend her. Is this Review about Krynn Keller BUCKLEY helpful to you? What a wonderful experience I came in with several concerns and each of them was answers with care compassion and a through knowledge of symptoms. Very friendly and easy to speak to and ask question. I could not imagine a better experience with the staff or doctor. Dr. Sukkar listened to what I wanted but gave his advise.